How do I remove a business from my WatchList? To remove a business, sign in to your account and go to your WatchList. Click 'Remove from watchlist' from the options dropdown box next to the business you wish to remove. 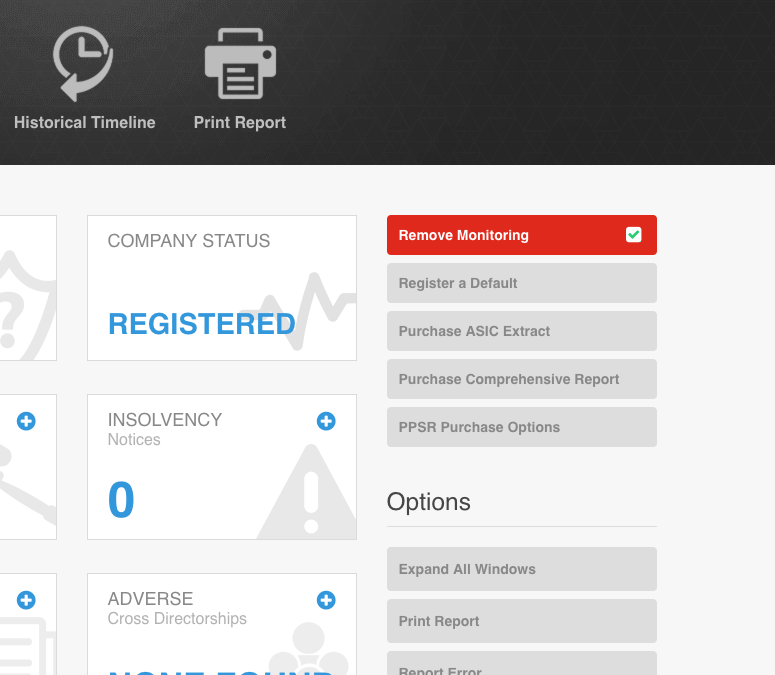 To remove a business on the credit report page, sign in to your account and navigate to the relevant credit profile. On the right hand side Click 'Monitoring Active' button, the state will then change to 'Remove Monitoring' and a feedback message will confirm the removal.